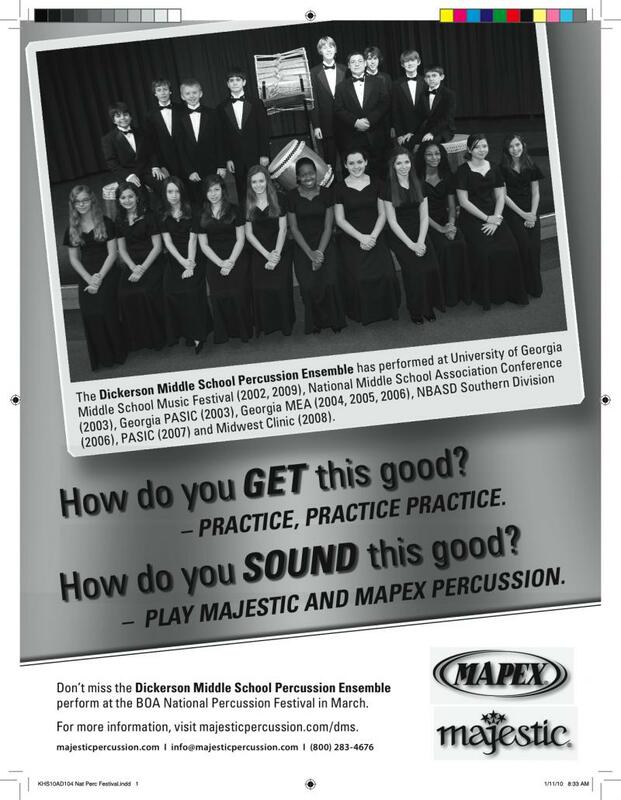 Welcome to the homepage for the Dickerson Middle School percussion program! 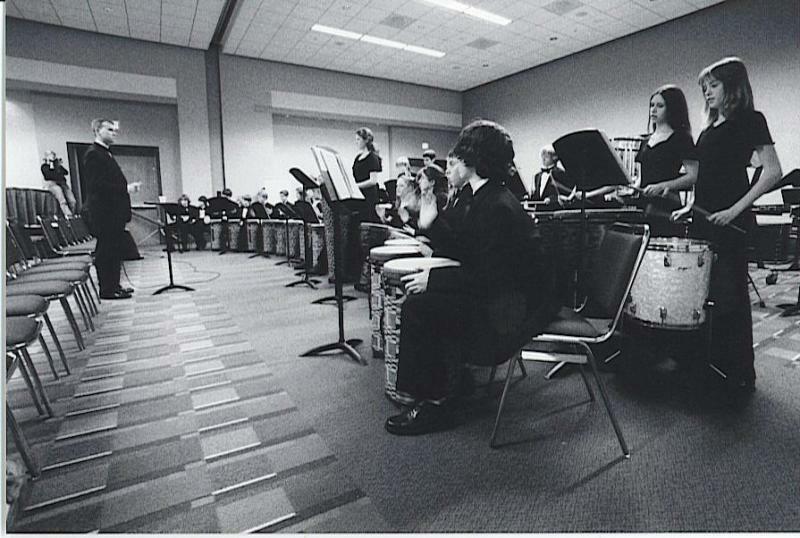 The percussion program consists of a 6th grade beginning percussion class, 7th & 8th grade percussion ensemble, and 6th, 7th, and 8th grade concert bands. Students also have the opportunity to participate in Jazz Band in 7th & 8th grades, 8th Grade Symphony Orchestra, as well as "Stomp" ensemble, and Afro-Cuban, Japanese Taiko, Brazilian Samba, and African ensembles. The primary focus is traditional concert percussion including snare drum, mallet percussion, timpani, and accessory percussion (tambourine, triangle, cymbals, bass drum, toms, etc.) along with drum-set. However, students learn a variety of styles and techniques from percussion instruments from around the world including: African percussion, Latin percussion, Irish percussion, Japanese Taiko, Brazilian percussion, drum-set, marching percussion, "Stomp" ensemble, and more!